Home/Uncategorized/Record Turnout for San Ramon Quad! 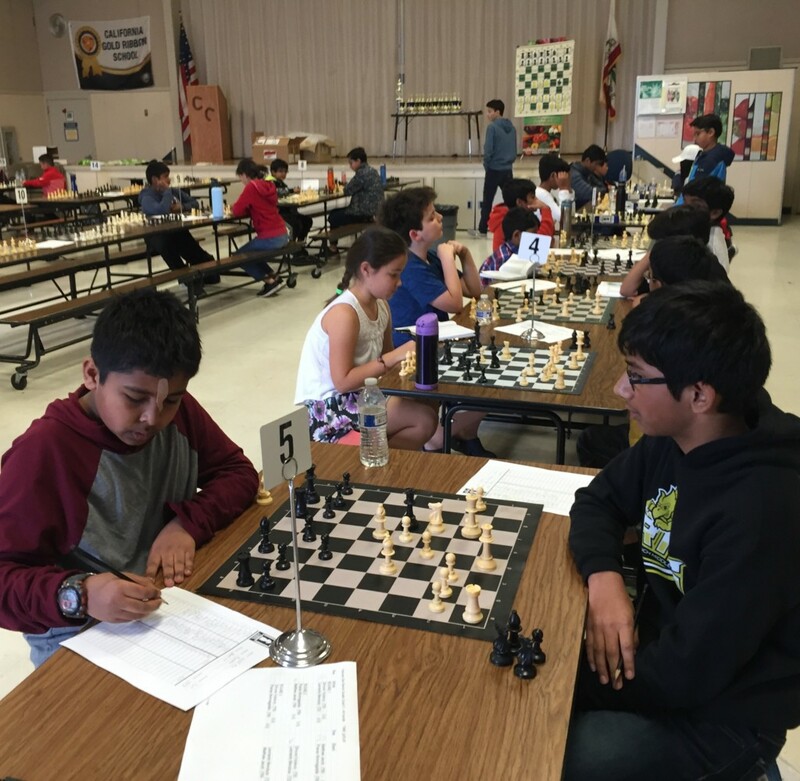 82 players competed in our San Ramon Quad last Saturday, February 2nd, beating our previous record of 79 players! The weather was threatening, but generally stayed dry. There was even a huge rainbow! As usual at these tournaments, the competition was fierce. Each player played three games against others of similar rating. 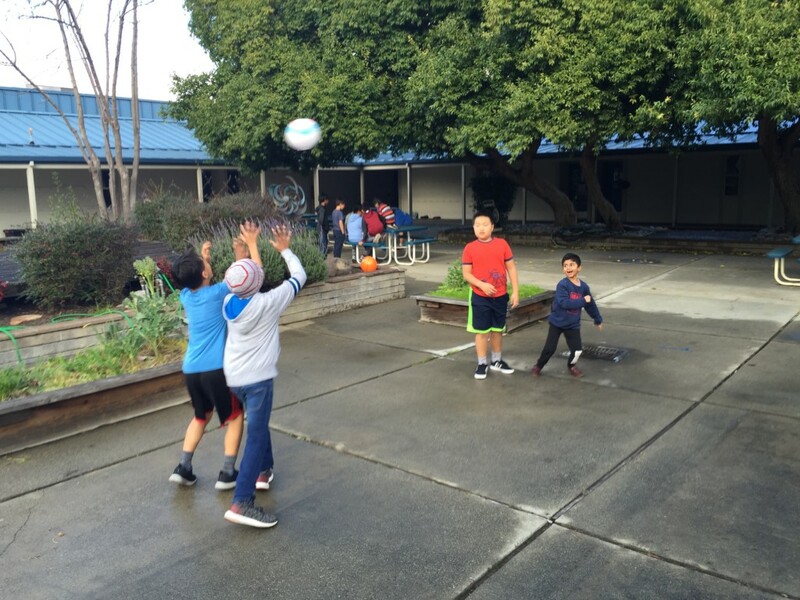 After each game many enjoyed playing in the courtyard. Others took the opportunity to learn from National Master Bryon Doyle in the library. He reviewed games and gave tips and encouragement. 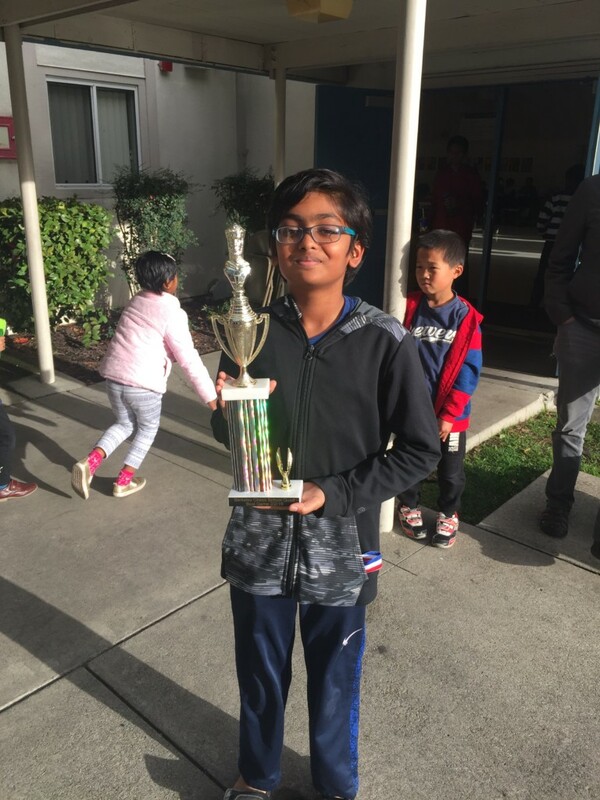 Kavin Ganesan earned the Best Game Award for a well executed Giuoco Piano, culminating in a nice checkmate. Other neat things that happened were a student winning his very first trophy of any kind. Congratulations Evan! 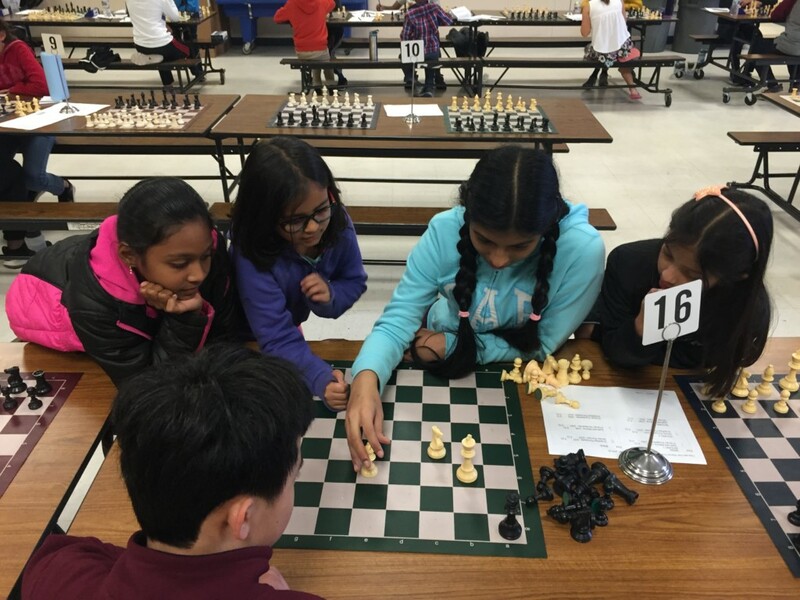 And Sriharshitha and others studying how to win with just a bishop, knight and king versus a lone king. She had just had this situation in her own game! We are happy that all the players and parents had a good time. It was the perfect activity for a rainy day. Our next San Ramon Quad will be held on March 16th. We hope to see you then!